CHARLOTTE, N.C. - Duke Energy has acquired a commercial solar power project located within the University of Arizona's (UA) Science and Technology Park (UA Tech Park) in Tucson, in an area dedicated to solar energy. Duke Energy Renewables, a commercial business unit of Duke Energy, purchased the 6-megawatt (MW) Gato Montes Solar Power Project from AstroSol Inc. The project is expected to achieve commercial operation within the next week. Tucson Electric Power Company (TEP) will buy all of the electricity from the project under a 20-year agreement. "Gato Montes is our fifth solar power project in Arizona in the past two years," said Duke Energy Renewables President Greg Wolf. "In fact, we'll have 37 MW of solar energy in production in Arizona by the end of the year, representing more than half of the 67 MW in our growing portfolio of solar projects nationwide." 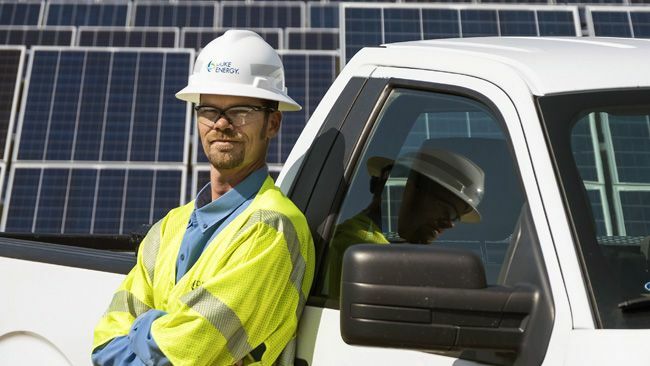 The solar photovoltaic (PV) thin-film, amorphous silicon technology used in the Gato Montes project is a first in the Duke Energy Renewables fleet. It is also unique at the UA Tech Park, where various solar projects are being tested under identical operating conditions to evaluate the most beneficial technology for solar energy production in the Southwest. "The Gato Montes installation is an excellent example of cutting-edge technology," said Bruce A. Wright, UA associate vice president for university research parks. "We are proud of our partnership with this project as it complements the mix of solar technology showcased at the UA Tech Park's Solar Zone." Construction on the 38.5-acre parcel of land in the UA Tech Park began in December 2011 by vis-solis LLC, the U.S. subsidiary of Solmotion. AstroSol Inc. received certification from the Border Environment Cooperation Commission and received financial approval for a $12.3 million loan from the North American Development Bank to construct the project. *The Prescott Valley Solar Project was developed by INDU Solar Holdings, LLC, a joint venture formed by Duke Energy Renewables and Integrys Solar, LLC. Since 2007, Duke Energy has invested more than $2.5 billion to grow its commercial wind and solar business. Duke Energy Renewables, part of Duke Energy's Commercial Businesses, is a leader in developing innovative wind and solar energy generation projects for customers throughout the United States. The company's growing portfolio of commercial renewable assets includes 13 wind farms and 12 solar farms in operation in nine states, totaling more than 1,300 megawatts in electric-generating capacity. Learn more at www.duke-energy.com/renewables. Headquartered in Charlotte, N.C., Duke Energy is a Fortune 250 company traded on the New York Stock Exchange under the symbol DUK. More information about the company is available on the Internet at: http://www.duke-energy.com/. In June, the Solar Electric Power Association (SEPA) recognized Tucson Electric Power (TEP) as the 2012 Investor Owned Utility (IOU) of the Year for the company's leadership and continued investment in solar energy. By the end of 2013, Tucson Electric Power (TEP) expects to have more than 200 MW of solar generating capacity, enough to meet the annual electric needs of more than 34,000 homes. TEP provides safe, reliable service to 405,000 customers in southern Arizona. To learn more, visit tep.com. For more information about TEP's parent company, UNS Energy, visit uns.com. AstrolSol is a wholly owned subsidiary of Solmotion GmbH, a German solar developer. Astronergy, a Chinese solar manufacturer of the CHINT Group Company is one of the major shareholders in Solmotion GmbH and in the solar project. The solar panels are mounted on fixed tilt racking structures produced by Schletter in Tucson. The installation was constructed by Barker Morrissey, Tucson. The project was managed by solar developer and EPC Contractor vis solis LLC, Franklin TN, the US subsidiary of Solmotion. This project was funded in part by the North America Development Bank. The Solar Zone is located at the UA Tech Park. The UA Tech Park advances the University of Arizona's research mission and its efforts at technology development and technology commercialization. The UA Tech Park contributes $2.7 billion annually to Pima County's economy. It is one of the region's largest employment centers hosting 50 businesses and organizations that employ 7,000 people.